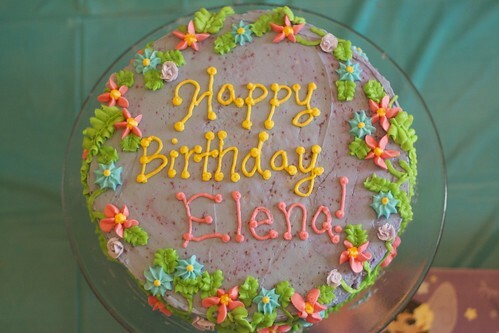 Elena had been talking about her own birthday party ever since Roman’s last August. 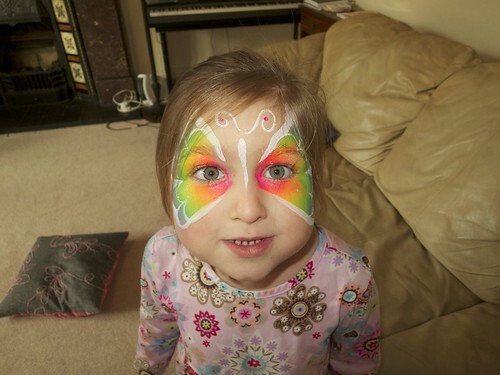 On an almost weekly basis she announced to me new school friends she would like to invite. 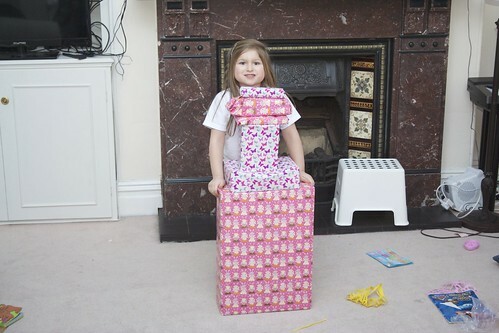 And of course, she had waited in great anticipation as her school and church friends have celebrated their own birthdays. 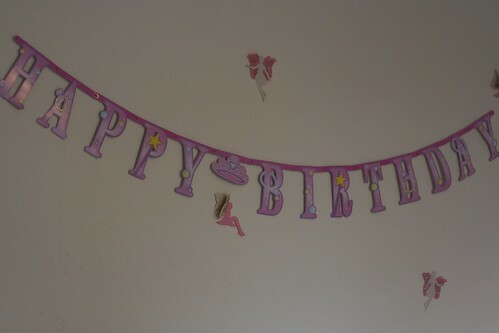 So, when I told her it was time for us to start planning her party, she was ecstatic. February in Northern England is cold, so after looking at other possibilities, we decided we could hold the party at our house. 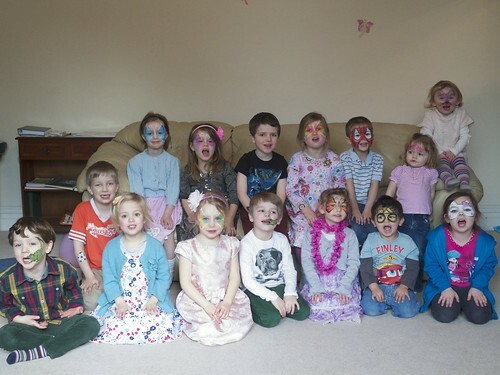 I decided that 15 kids would be more than enough to fill the house (especially considering the likelihood that many of their parents would also stay for the party). When it came time to make the list, there were a couple more she wanted to add, and then we remembered we had left out some good friends so they were also added. In the end, we handed out 20 invitations and it was exciting to have so many friends to invite. After the invitations were handed out and before the date of the party Elena tried to add more people. Basically, she wanted everyone in her school class and the rest of her grade (they do a lot of activities together but 40 kids is too many!) and attempted different strategies to try to convince me to send another wave of invitations. I held strong to our original cap of 20. On the day of the party a large sign on the front door welcomed our party guests. Mark and I had been up late the night before setting up decorations, completing the cake, and moving things around. The party went great! 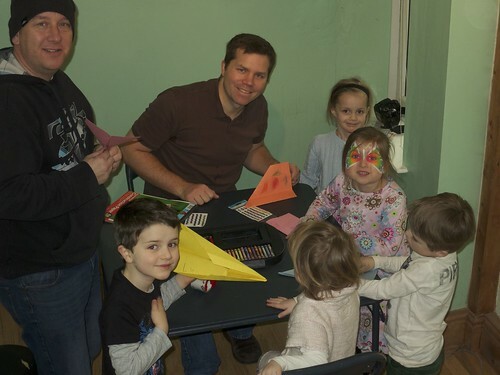 We had a face painter in the front room, we decorated cupcakes with frosting and sprinkles in the craft room, and downstairs Mark led a paper airplane activity: first the children constructed and decorated the planes, then guided them through an obstacle course. 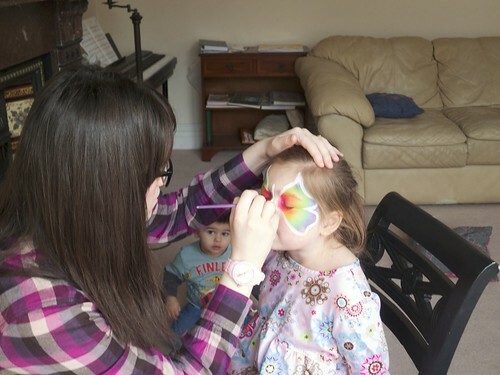 Of course, in between these activities the kids did plenty of playing and running around. 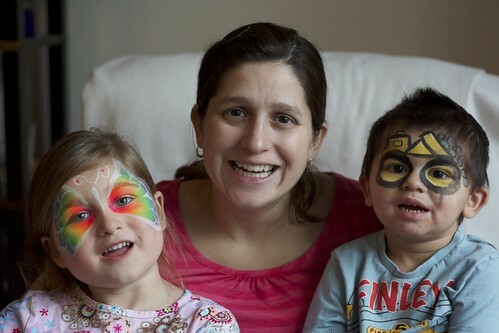 We managed to successfully gather the kids before lunch and got them to sit still long enough to get a picture. Then we served kid favorites: hot dogs, chicken nuggets, fruit cups, chips, and Capri Suns. I worried that we wouldn’t have seats for everyone, but hoped they would be happy to sit on the floor, and they were! After lunch the kids raced up and down the stairs following clues for a treasure hunt set by the fairies, in pursuit of their party bags. 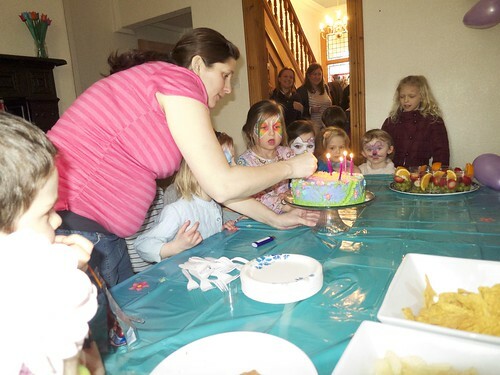 We had just enough time to sing Happy Birthday and eat cake before parents started showing up and everyone headed home. Even though they had a lot of fun, the children seemed surprised that we didn’t play any of the standard party games, like Pass the Parcel or Musical Statues. It was a great morning and we had lots of fun, but I was exhausted by the time everyone left!